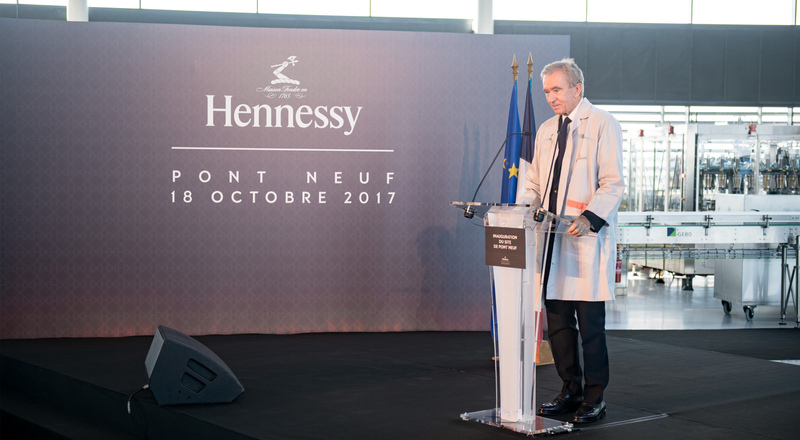 On October 18th Hennessy inaugurated its new Pont Neuf bottling and logistics facility at Salles-d’Angles, near Cognac. Highlights from this major expansion by the LVMH Maison. The Hennessy Pont Neuf site is a concentrate of technology serving artisanal tradition. The inaugural ceremony was attended by Bernard Arnault, Chairman and Chief Executive Officer of LVMH, Philippe Schaus, Chief Executive Officer of Moët Hennessy, Bernard Peillon, President of Hennessy, and Jean-Baptiste Lemoyne, Minister of State, attached to the Minister for Europe and Foreign Affairs.